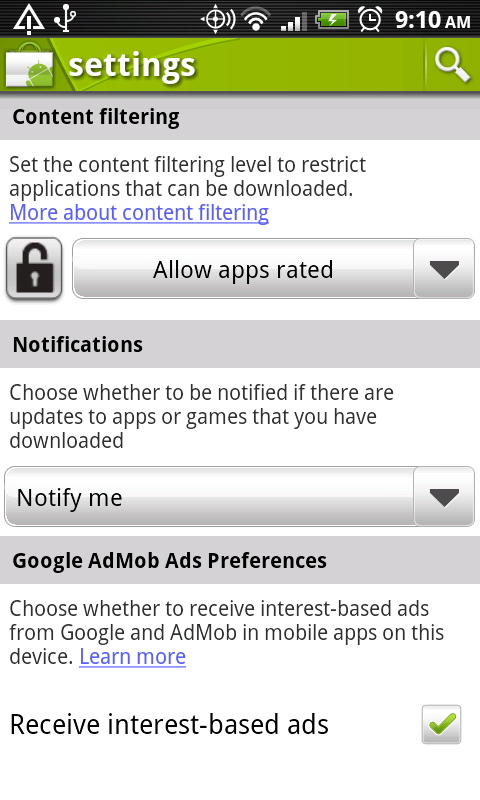 When we covered all of the new features that the Android team implemented into the Market earlier in the week to make finding apps easier, we forgot to mention the fact that users can now set up content filters. If you need to set up filters so that your kids or husband aren’t late night wallpaper shopping, then the Android Market will now allow you to do that. 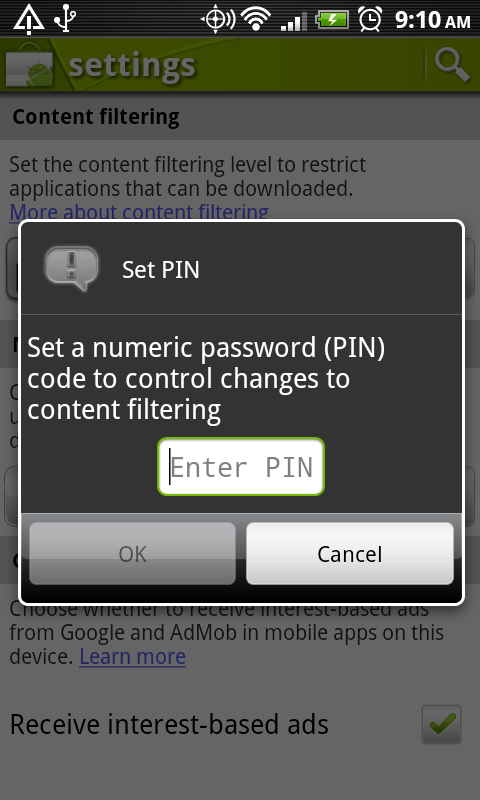 You can even set a PIN, so that those filters cannot be removed. 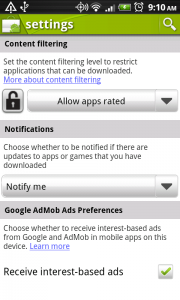 To access content filtering, head into your market and press Menu>Settings.